The topology consists of diodes, capacitors and switching devices. Although theoretically this topology has been designed to give infinite levels, but due to practical limitations this only gives up to six levels of voltage. Each leg consists of switching devices which are generally transistors. Every inverter limb consists of cells connected in inward nested series. Every cell has a single capacitor and two power switches. Power switch is a combination of a transistor connected with an anti-parallel diode. Unlike diode clamped inverter, this topology uses capacitors for clamping. An inverter with N cell will have 2N switches and N+1 different voltage levels including zero. We can also have negative voltage levels, and so all in all we can say that N cell multilevel inverter can give 2N+1 voltage levels. Capacitors nearer to the load have lower voltage. Capacitors nearer to the source voltage (Vdc) have higher voltage. The number of level depends upon the number of conducting switches in each limb. It is also known as Imprecated Cell Inverter. They are called Flying Capacitor Multilevel Inverter, because the capacitors float with respect to earth’s potential. One of the major advantages of using a Flying Capacitor Multilevel Inverter is its ability to operate at voltages higher than the blocking capacity of each power cell consisting of diode and switching element. Current co-efficient of each limb is equal and opposite in polarity. That is why there is no net change in the charge of capacitors. The cell and capacitor voltage difference is maintained within a safe band and hence there is no chance of unbalancing the capacitor voltages. 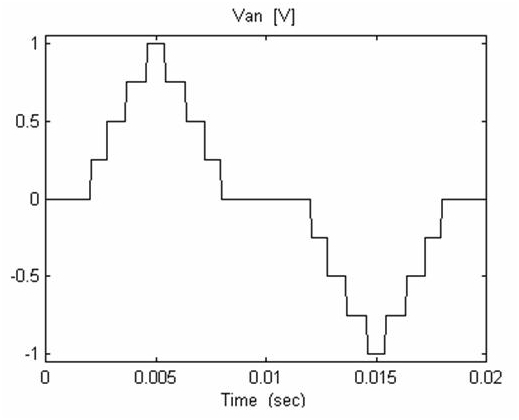 To synthesize a sinusoidal waveform at the output, switching strategy needs to be defined. It is quite simple. Every voltage is applied at output with a certain electrical angle. Careful application of the angle gives low harmonic distortion and required amplitude at the output. For every change in the state, only one switch shift should be allowed. Capacitor’s voltage balance should be maintained. All the switching devices should be used equally. Each branch can be analyzed separately and individually. Pre charging of capacitors is necessary and difficult. 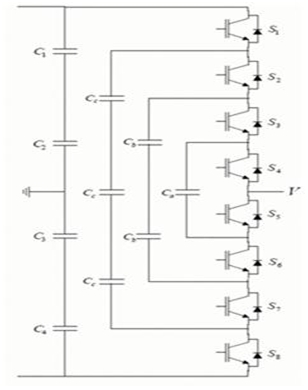 All in all flying capacitor multilevel inverter topology is famous topology which has its own benefits. The number of devices used in the circuitry is quite sufficient and is also economically controlled. This multilevel inverter gives good power quality performance. or copy this trackback: http://engineering.electrical-equipment.org/electrical-distribution/flying-capacitor-multilevel-inverters.html/trackback from your own site. In truth, comment tricher sur megapolis generated a number of positive effects on your lovely tiny mother nature. on other sites? I have a blog based on the same ideas you discuss and would really like to have you share some stories/information.